Disney•Pixar’s COCO is now playing in theaters everywhere and I'm so excited for families to see it. It's a great story about honoring families and following your own personal dreams. Note: I was invited as media to the movie screening. 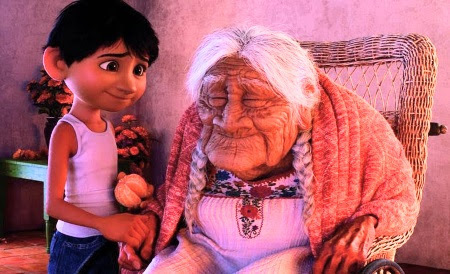 Disney and Pixar invited me on this all expense paid trip for the Disney*Pixar COCO Event. While I will share different events and activities during the trip, any personal views expressed are always 100% my own. PLUS I screened a few minutes of the movie. More about that later. But all that behind the scene info really got me excited to see the full film. And when I did recently, it was amazing. While I already knew the story of Miguel struggle to play music against the wishes of his family, when I saw the full story unfold I was in tears. Literally. You'll gonna need tissues when you go to see this film. 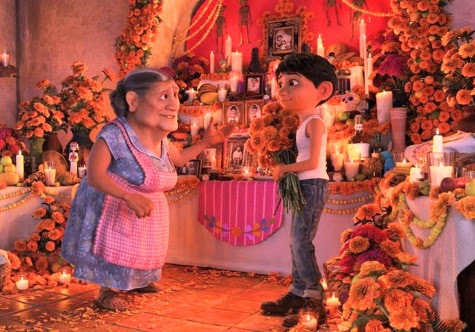 Without giving to much away, Disney*Pixar COCO really touches on the issue of what makes a family...a family. The connection. Whatever it may be. In this case it music. But really it's more then just music. It's the LOVE, which is the driving force behind it all. Miguel goes on an amazing journey to discovery WHY his family both loves and hates music. And it's a journey we all can relate to with it's up and downs. And isn't that what loving our family is about? Loving them through good and bad moments? In the end, Miguel discovers that the love of family can be a powerful thing. And that's why it's so important to honor and celebrate it. A message that perfect as we get into the holiday season surround by family. Speaking of surrounding, now that my #PixarCocoEvent is almost at it's end, I want to try and capture all the love and memories. While I don't have an Ofrendas, I did have a code to make a Chatbooks! 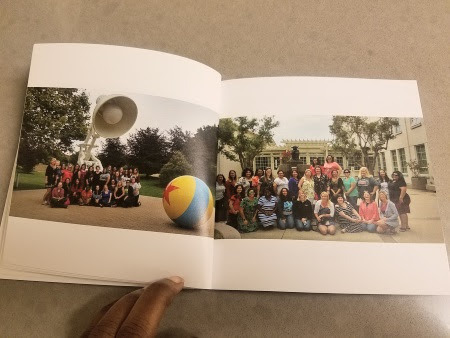 While designing my Chatbooks, I was able to capture special moments with my #PixarCocoEvent family. It was easy to design. I just had to pick photos to add to sheet of my "book". I could add little captions, title my book and adjust the sizing and order of each "page". The finish result came out awesome. I'm now thinking of other types of books I can make. Since each book allows you to add 60 or so photos, you can really fill it up! Would you like to make a Chatbooks of your own for the holidays? Then use discount code: JOLLY to take 20% off. 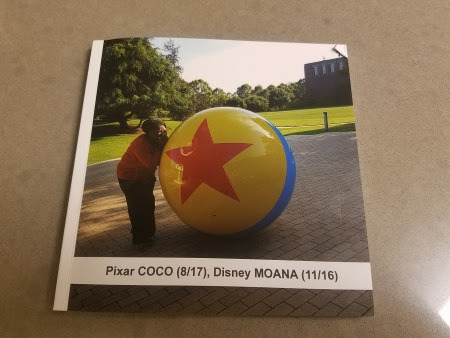 You can even use the Disney*Pixar COCO themed Chatbooks! 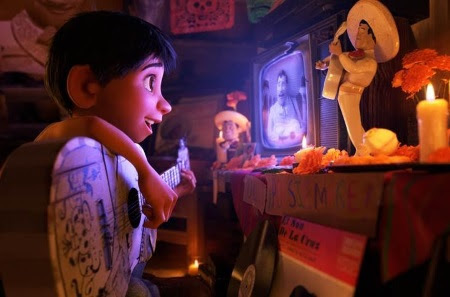 So make sure to take your family and see Disney*Pixar COCO now that it's theaters. But get there early! You don't want to miss seeing the featurette OLAF’S FROZEN ADVENTURE which shows before the film starts. Hope you can your family enjoys seeing Disney*Pixar COCO as much we my family did!